In recent years, anime series, where girls appeared in the form of weapons, have simply filled the small screen. 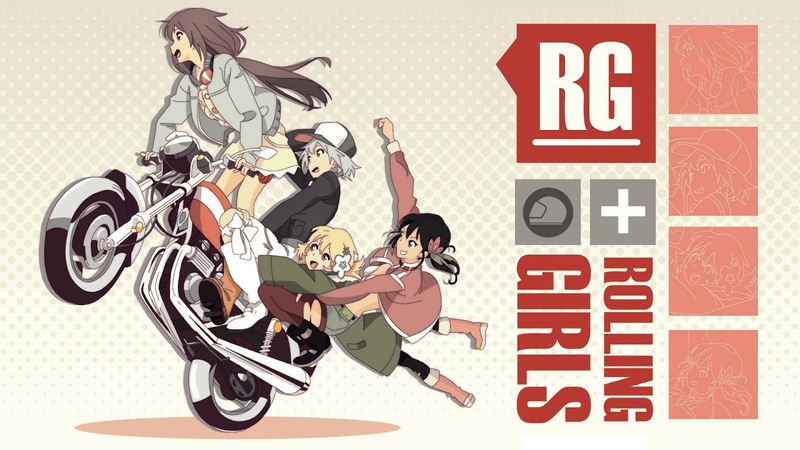 The anime series The Rolling Girls, which was released in the winter of 2015, was no exception. The Rolling Girls seems like dynamic action anime, similar to Kill la Kill, only in the form of a road movie. The storyline is very interesting: 10 years after the end of the "Great Tokyo War" that shocked Japan, most of the country's political and economic elites mysteriously vanished. As a result, the country split up into the original 10 regions that soon became independent city-states that competed with each other. Each nation is ruled by a prophet called "Mosa" and an army called "Mob" as they start to compete to take over other countries. 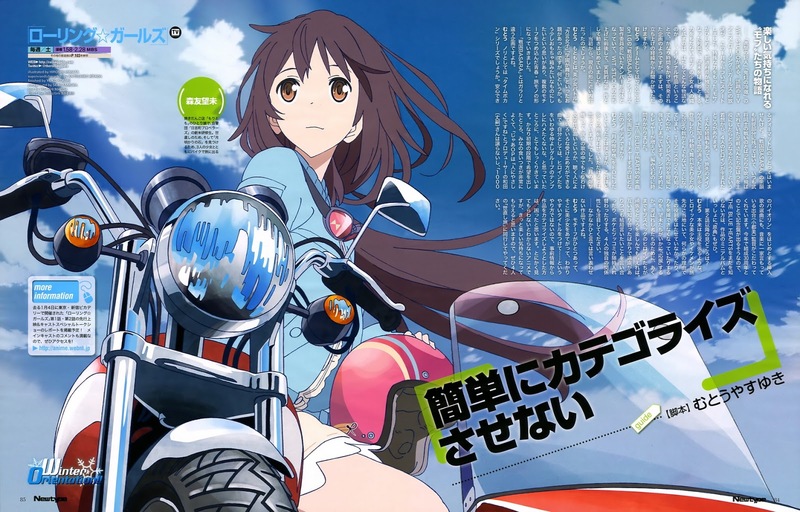 Four "Mob" girls from the Saitama clan, Nozomi, Yukina, Ai, and Chiaya, are ordered by their "Mosa" to travel around Japan riding their motorcycles to mediate multiple battles between nations and clans as they emerge.fulfilling requests for Maccha Green while they seek to grow stronger and search for special heart-shaped jewels. The animation is IMMENSE and just always beautiful. Certainly the kind of anime you will want to watch in HD. 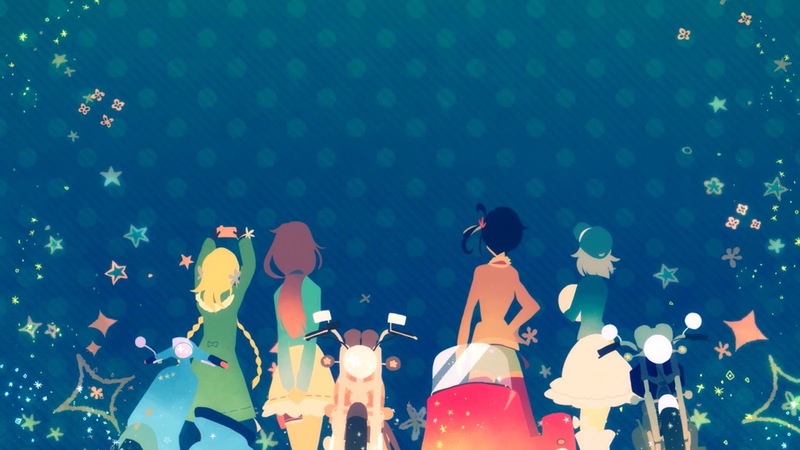 Such colorful animation style. It parallels to the storyline: vivid and light-hearted. It has a slim chance of having a second season. Most likely, the young production studio will not be able to pull out a second season of The Rolling Girls. But hopes are high that it will have, though.